​Liverpool manager Jurgen Klopp has played down fears of an ankle injury for Jordan Henderson, insisting that he simply picked up a knock in Sunday's 2-0 win over Chelsea. The club captain was forced off the field after 77 minutes after picking up a knock on his ankle, and many fans had feared that they could be without the midfielder as they seek to secure the Premier League title. However, ​speaking after the game, Klopp insisted that there was nothing to worry about and ​Henderson should be available going forward. The news will certainly come as a relief for ​Liverpool, who will need their captain throughout the remainder of the season. The Reds travel to Porto on Wednesday in the second leg of their ​Champions League quarter-final, looking to protect their 2-0 lead from the first leg. Should they emerge victorious from that fixture, they would have to go through either ​Manchester United or ​Barcelona if they want to reach consecutive Champions League finals. Klopp's men will also meet ​Cardiff City, ​Huddersfield Town, ​Newcastle United and ​Wolverhampton Wanderers in the ​Premier League, as they look to end their 29-year wait for a league title. 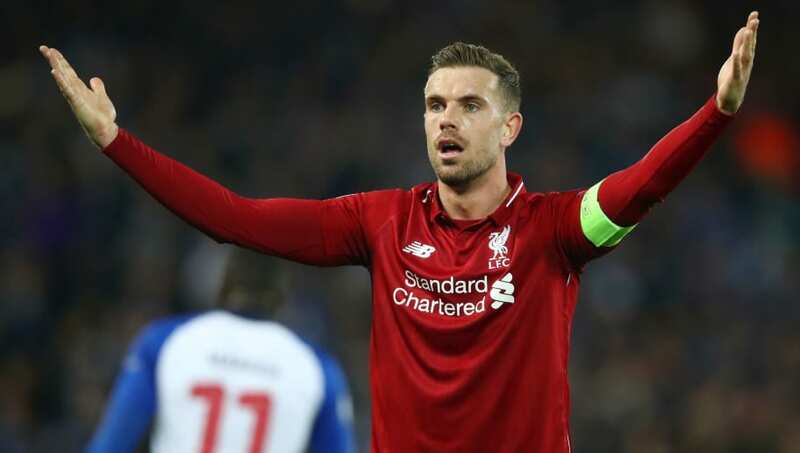 This season, Henderson has made 36 appearances for the Reds, and the 28-year-old has been in good form as of late, racking up a goal and two assists in his last two league matches. However, his leadership has been vital to the Reds' title challenge, and his determination has often been on show through emotional cries of support for his teammates. He has lined up alongside ​Naby Keita and ​Fabinho in the heart of Liverpool's midfield in the last few games, and Klopp could look to stick with that setup after a string of impressive performances from the trio.